Dancing, friends, unlimited non-alcoholic beverages, and the Chicago River. Who could ask for anything more on a Sunday night? 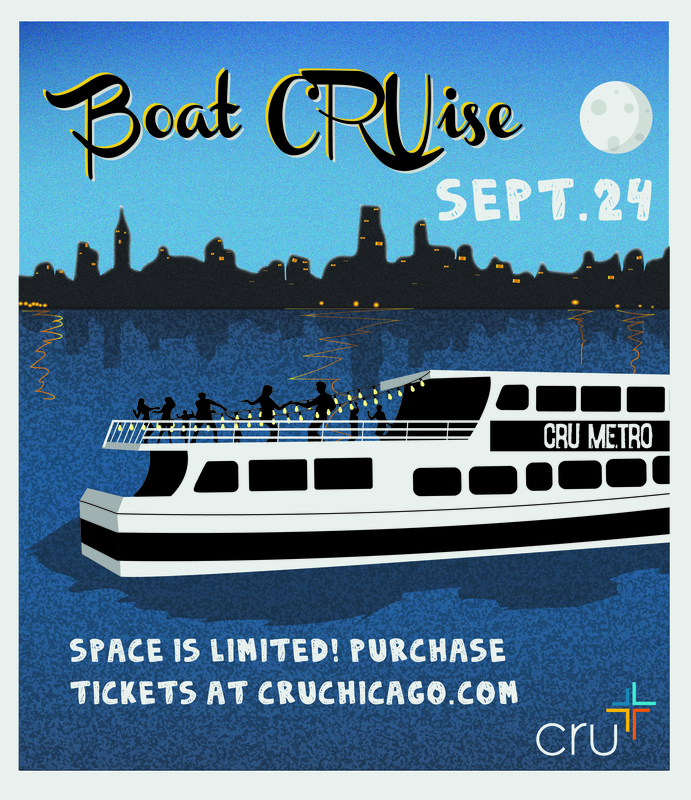 Cru Chicago would love to invite you to our annual Boat Cruise event on Sunday, September 24th. Join us for a cruise on the Chicago River and Lake Michigan, where we can dance the night away viewing the beautiful Chicago skyline! The cruise will leave from Trump Tower on the river side. All guests should arrive at 6:20 P.M. for pictures, check in, and boarding. The ship will return to the dock at 9:00 P.M. Guests should bring a copy of their email receipt as a proof of payment. Tickets are non-refundable after September 16th. The cost for the evening is $35 if you purchase your ticket by 11:59 PM on September 16th. After that, the price for tickets is $40. Online ticket purchasing is now closed, but you can still purchase tickets from Cru staff at the dock tomorrow using cash or a check made out to “Cru”. You cannot pay via credit card at the dock. In the event of inclement weather, the boat captain will decide weather or not the cruise happens. If the cruise is cancelled or postponed, those who purchased admission will receive an email explaining the situation that has instructions for a possible refund, or information regarding rescheduling. College has been all about preparing you for the future. Taking the right classes to get your degree. Networking to help you find the right job. Teaching you the right skills for success in your career. But, what about the things that can’t be learned in the classroom? 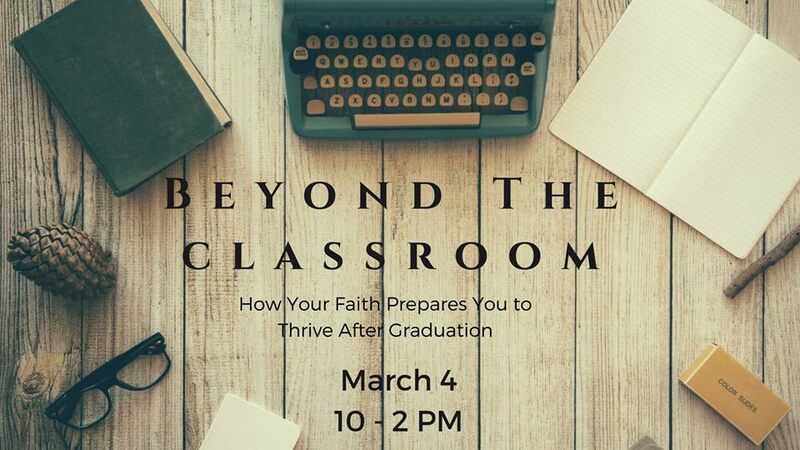 How can you prepare emotionally, relationally and spiritually to thrive after graduation? Come learn from a variety of professionals – from recent graduates to seasoned veterans – about how their faith gives them purpose in their career and perspective in the day to day struggles and insecurities that come with life in the workplace. Our time will include discussion, panels, workshops and lunch! Whether you’re just about to graduate or still have a few years to go, we’ll learn together how to succeed beyond the classroom. The event is from 10am – 2pm at the Cru office at 2511 West Maypole (close to the California stop on the CTA Green Line). The cost is $10 and includes lunch. Click here to register. 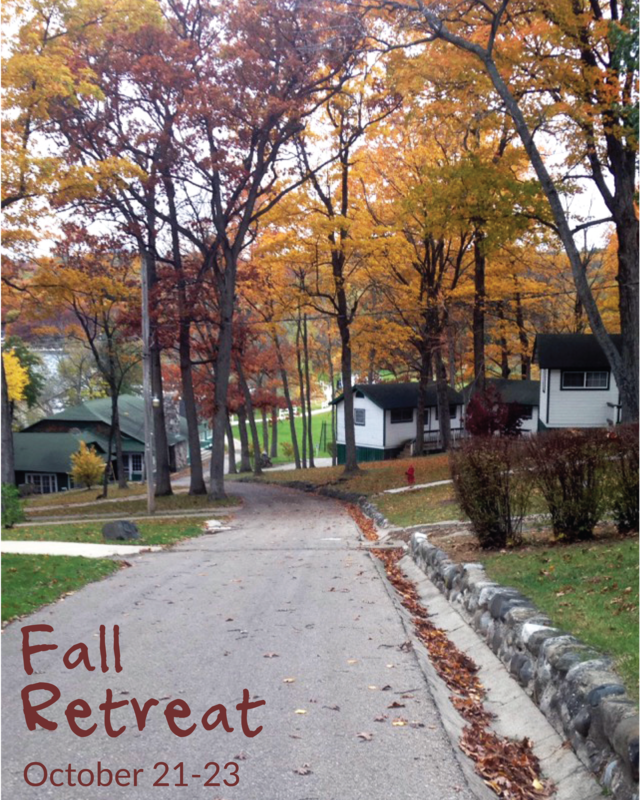 It’s time to get ready for the 5th Annual Fall Retreat Video Contest. Theme: This year’s theme is “School Spirit”. Make a video telling us about your school and why you love it. You can use any style you would like (story, documentary, music video, etc). Your video can be serious or funny. Rules: All videos must be posted to Youtube or Vimeo and a link emailed to Andy by 10pm on Thursday, October 20th. Videos must be less than four minutes in length. The Cru Chicago staff team will vote for the best video and the winning campus will be announced at the retreat. Videos will be judged based on technical quality and overall entertainment value. The video contest is a part of the Fall Retreat Campus Competition. We will attempt to show all videos during the retreat, but may not be able to for the sake of time or if we judge that it should not for quality or content reasons. Price – The cost of the retreat is $90, but there is a $10 discount for freshmen as well as a $20 early registration discount if you register and pay your $30 deposit by Noon on Monday, October 10th. Please note that deposits are not refundable or transferable. Anything you pay above $30 can be refunded if you do not attend the retreat. Speaker – Derrick Puckett will be joining us for three of our main sessions. Derrick is Lead Pastor at Renewal Church of Chicago, which just celebrated it’s second year anniversary. Derrick was involved in Cru as a student at Indiana University and then on staff with Cru in Indianapolis before going to MidAmerica Baptist Theological Seminary in Memphis TN. Derrick and his wife Kaley live on Chicago’s west side and have three beautiful daughters: Ramiyah, Elyana, and Isabelle. Transportation – Conference point center is about 90 miles northwest of Chicago. Those driving should plan on a 2.5 to 3 hour drive during heavy Friday traffic. For those without access to a car or ride to the retreat you can take the metra and our staff will pick you up to bring you to the retreat. The camp is about 20 minutes north of the Harvard Stop on the Union Pacific Northwest Line. You can ride the train leaving Ogilvie station downtown at 3:45, 5:16, or 5:33 to the Harvard stop (final stop on the line) and our staff will be there to give you a ride to the camp. There is an additional $5 charge to ride the shuttle. This is to offset some of the cost of the shuttle and is good for both there and back (no discounts for one way riders). You can indicate on your registration if you plan to ride the Metra and sign up for a shuttle here. Those riding the metra to the retreat will either be given a ride back to the city in a car or be dropped back off at the Harvard Metra Stop to take the train leaving at 12:30 PM on Sunday. Yes, you can come to part of the retreat. The broken down cost for the retreat is $10 per meeting, $25 per night. If you are not attending the entire retreat the early registration discount is $10 and freshmen discount is 5. Your base cost must exceed $40 for discounts to apply. We can look into this if there is need. If this is your situation please email Andy. We don’t want finances to be what keeps someone from coming on the retreat. There is a limited amount of scholarship money available so please talk to your staff person about your situation and it’s likely that we’ll be able to work something out. If you don’t know who your staff person is then email Andy. Dancing, friends, unlimited non-alcoholic beverages, and the Chicago River. Who could ask for anything more on a Sunday night? Cru Chicago would love to invite you to our annual Boat Cruise event on Sunday, September 25th. Join us for a cruise on the Chicago River and Lake Michigan, where we can dance the night away viewing the beautiful Chicago skyline! The cruise will leave from Trump Tower on the river side. All guests should arrive at 6:20 P.M. for pictures, check in, and boarding. The ship will return to the dock at 9:00 P.M. Guests should bring a copy of their email receipt as a proof of payment. Tickets are non-refundable after September 19th. The cost for the evening is $35. You can purchase tickets online using the payment button below. Space is limited and the cruise has sold out in previous years. We are a team of students and full time staff who are committed to giving each of the 180,000 traditional college students on 44 Chicago Metro campuses the opportunity to hear about how they can have a relationship with God through Jesus Christ. We are specifically trusting God to see 9000 student multipliers: students who walk by faith, by living Spirit-Filled lives, communicate their faith by seeking to share the Gospel with 20 students around them, and multiply their faith by making disciples of two or three students and helping them to do the same.